Winter camping means being especially close to the beauty and vitality of nature. 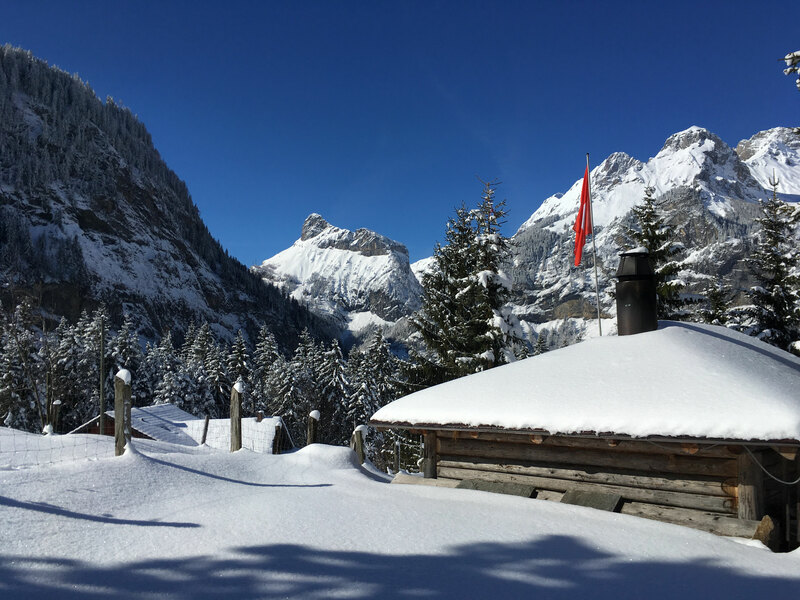 Experience the day actively, under the seemingly endless blue sky or spend an evening by the winter campfire in our 'Finel', when the setting sun dips the snowy peaks in red light. 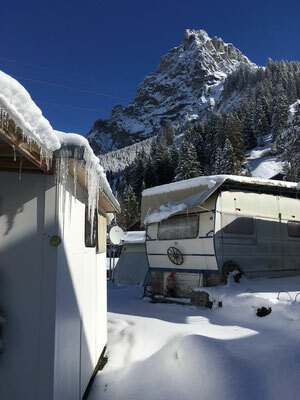 Individuals, families, sports and nature enthusiasts feel at home in winter at the campsite. 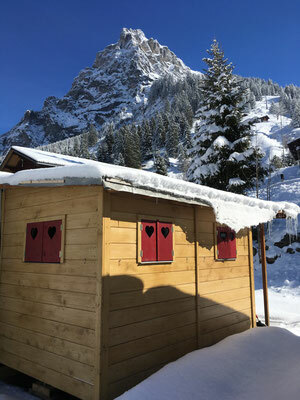 We have free winter season plots! 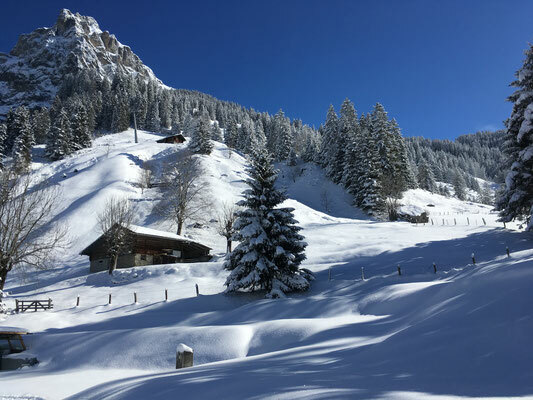 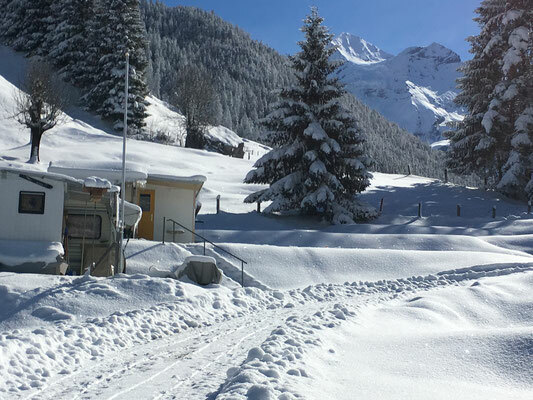 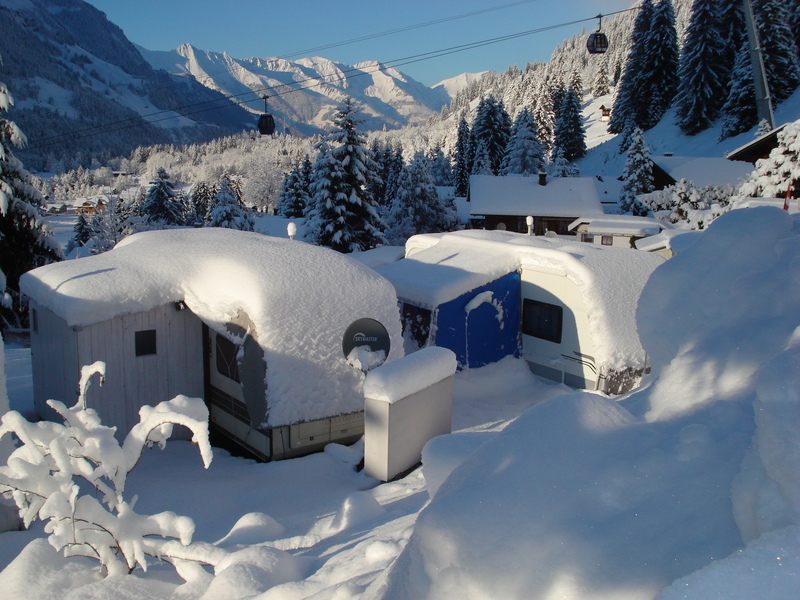 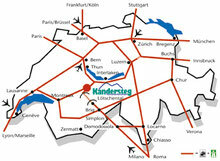 Spend the white season in the snowy winter paradise of Kandersteg.